Entropay is a prepaid virtual Visa card that enables Canadian online casino players to fund their accounts securely and which is also easy and convenient to use. Accounts can be operated across fourteen different currencies (including CAD$) and deposits made using Entropay are credited to your casino account instantaneously. There are a number of advantages for Canadian players in using Entropay as a virtual visa card to fund an online casino account. Anonymity: The main advantage of using Entropay is the anonymity it provides. Your transactions with your online casino do not appear on either your credit card or bank statements, meaning your online casino activities are anonymous and can’t be traced back to your bank or credit card statement. Security: Using an Entropay virtual Visa card adds another security dimension to all of your online financial transactions, not least when dealing with an online casino. This is because you’re only required to share your Entropay card number with the casino, not any of your other bank or financial details. As a consequence, your financial data is completely secure with no data sitting on the casino’s servers. Additionally, all of your transactions at Entropay, whether depositing or withdrawing funds are protected by 128-bit SSL encryption. Speed: Speed is another incentive for using an Entropay card. Anyone who has transferred funds using direct bank transfer will be aware of how long this can take, whether you’re moving money domestically or overseas. However, payments with Entropay are immediate, so there’s no waiting around for funds to clear. Bankroll Management: As Entropay is a pre-paid debit card rather than a credit card such as VISA, you have more control over your expenditure. Any money you deposit into a casino account is ‘your’ money and not money on credit. For those who like to keep a close eye on their bankroll, or like to set themselves clear limits as to how much they deposit, this is the ideal solution as you can only spend money which is yours, not the bank’s (although there is the option to get an Entropay MasterCard ‘plastic’ credit card, if you think that would better suit your needs). 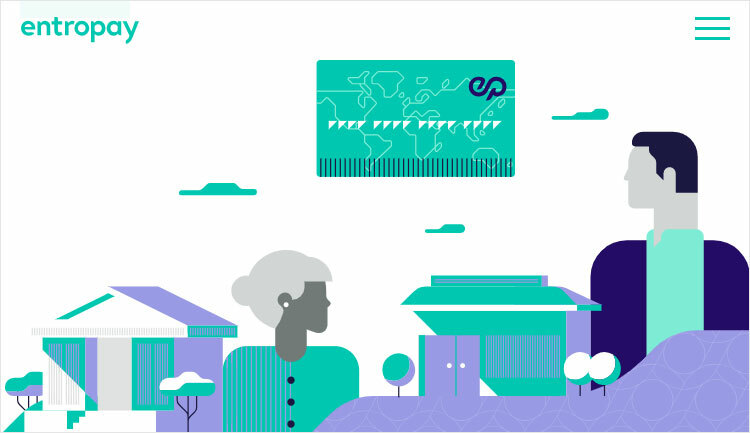 No credit checks: As Entropay is a pre-paid, virtual Visa card there is no need for credit checks. This means not only that you can get a card irrespective of your credit record, but also that there is no delay between applying and receiving your card. Simply apply online and your virtual card is with you straight away. Multiple uses: Even if your primary purpose is getting an Entropay card is to make running your casino account easier, it’s not limited to this use – you can use your card to shop online at any store or service provider that accepts Visa cards, which means you’re actually getting a very versatile and convenient card that you can use in any number of ways. You can also access your Entropay account from any sort of device, from desktops to smartphones and tablets. Accessibility: A further advantage is that money you withdraw from your casino account back into your Entropay account can always be accessed. So whether you want to withdraw that money to credit it back to your bank or credit card account, or use it for another online purchase, your funds are always available and instantly accessible. The main real disadvantage to using an Entropay prepaid virtual Visa card is the small fees incurred. 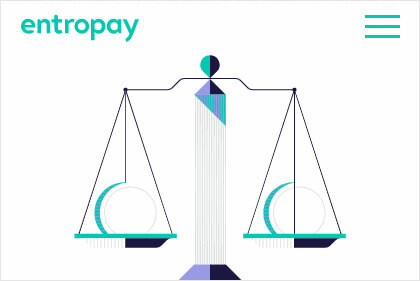 While you won’t incur any charges at the top Entropay casinos we’ve listed above for transferring money from your Entropay account to your online casino account, there are nevertheless fees associated with loading funds to Entropay from your bank account or via credit card. If you make a deposit to your Entropay account from a credit or debit card, there’s a fee of 4.95%, or 3.95% when you add funds using direct bank transfer. Third-party deposits into your account i.e., when you withdraw winnings from your online casino account, attract a fee of 1.95%. In addition, when you transfer cash from your Entropay account back to your credit or debit card there is a fee of $6. However, for many players, these fees are more than outweighed by the convenience and added security of using Entropy as outlined above. It is very quick and easy to set up an Entropay account, and once you’ve done so you can start using it immediately. There are no charges to set up an account, nor any annual fee or interest charges. Go to www.entropay.com and click on Sign Up. You’ll then be asked to enter your name, email, date of birth and country of residence, and to create a username and password. Once you’ve done this, you instantly receive your 16-digit virtual Visa card number along with a 3-figure CCV number and, once funds have been deposited, this can be used straight away. Once you have completed the above steps, loading money onto your account is similarly straightforward. You can choose to do this either via direct bank transfer or using a credit or debit card, with most major brands accepted. Anyone who has used internet banking, or made any sort of online purchase, will be able to accomplish this with ease. The steps above are for those who have already set up their Entropay account. If this isn’t the case, you’ll be required to create your Entropay account between steps 3 and 4.